This phrase is another way to respond to the question, “How are you doing?” It’s not uncommon to hear people are not doing well and this is a simple way to say so. The appropriate response would be to ask what is wrong. 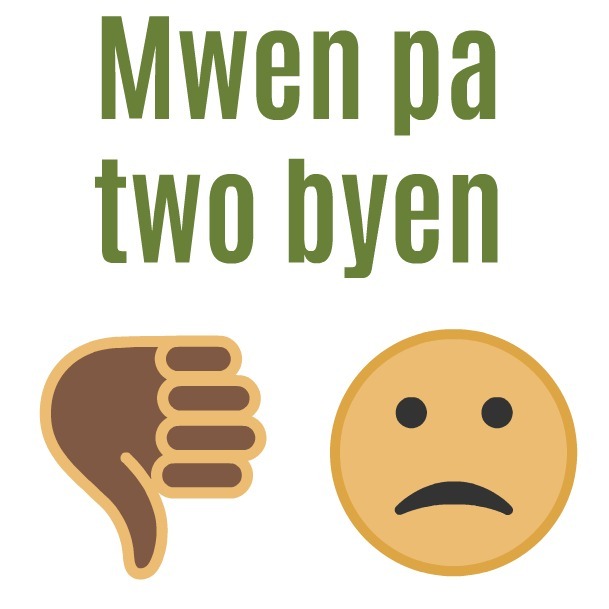 How can I say “I’m not doing well” in Haitian Creole?